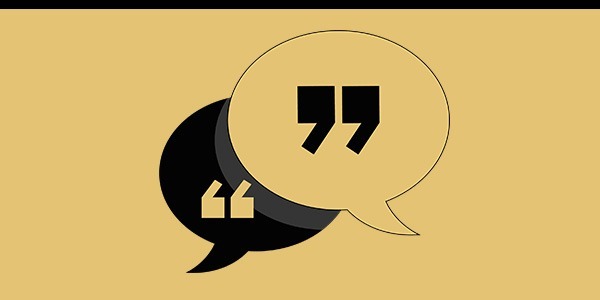 I feel compelled to write a quick note following your amazing work on Saturday. I’ve loved the full gamut of music you guys play since I was introduced to it in my early 20s. 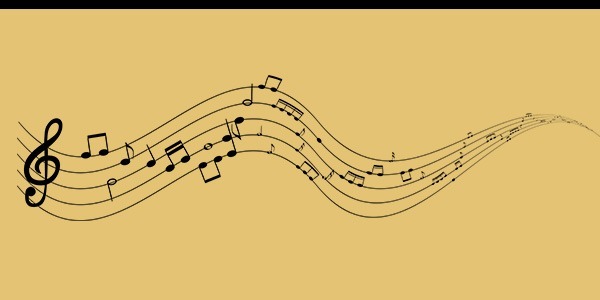 That music has become hugely important to me ever since. 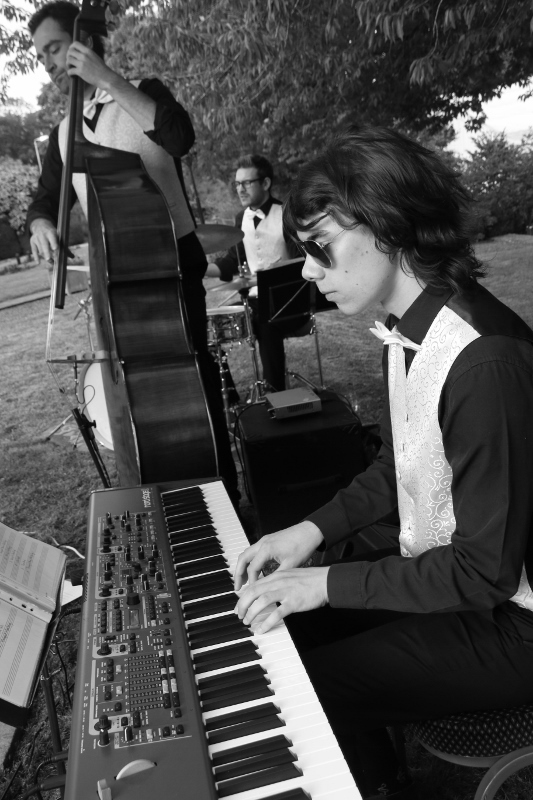 You played so beautifully, set the tone wonderfully and I know worked with the coordinator to play outside during the reception. It was more perfect than we could have imagined. 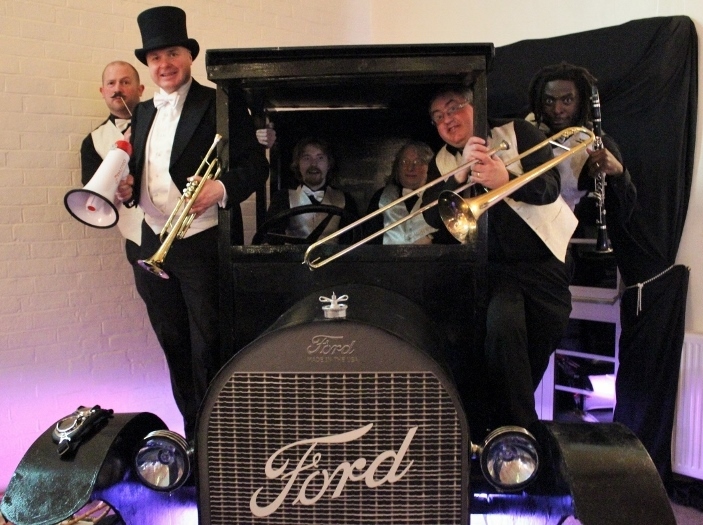 Big fans of 1920s music, Jenny and Gabriel wanted something stylish for their wedding ceremony and drinks reception and Dr Jazz fitted the bill perfectly. They had chosen the iconic Heatherden Hall at Pinewood studios for their special day, a location used in so many films over the years, and Dr Jazz provided music chosen by the bride and groom before, during and after the ceremony before relocating outside to entertain guests with Roaring 20s favourites as photographs were taken amid many a glass of champagne and canopés. York’s Cosy Club is housed in the old Electric Cinema on Fossgate – a beautiful old building which has been restored to its former Art Deco glory. 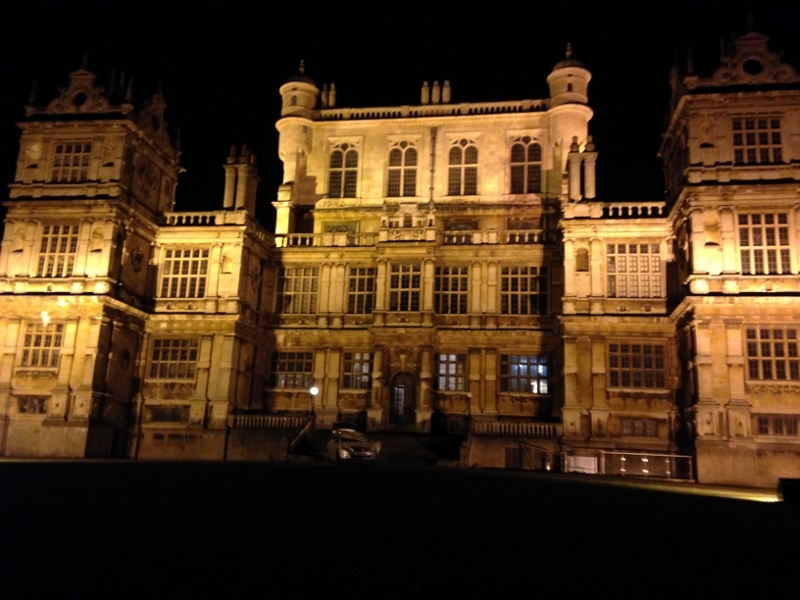 What a magnificent setting for nigh on 200 revellers to bring in the new year dressed in amazing 1920s dresses and suits. And it wasn’t just the guests – as you can see, the Cosy Club staff looked great too! 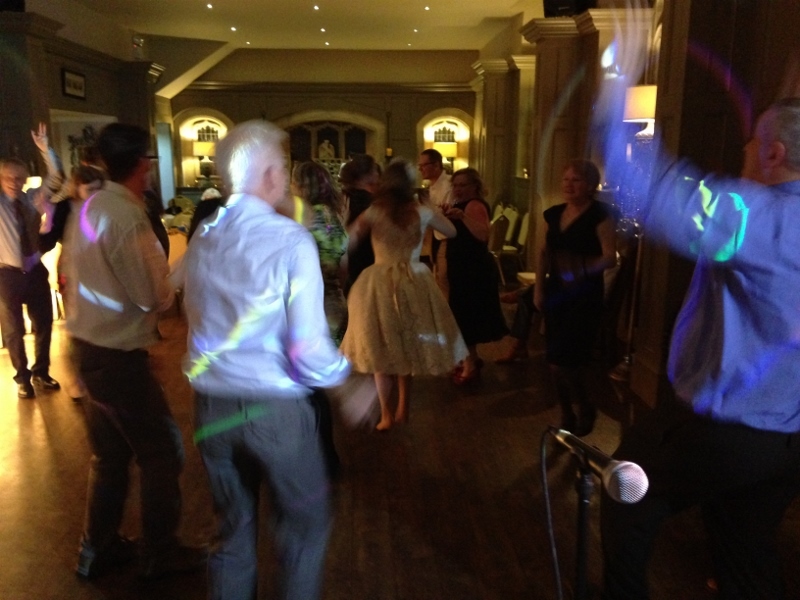 Dr Jazz had the dancefloor full within seconds even though the guests had just finished a four-course meal! We brought 2019 in together with many a confetti cannon exploding overhead. 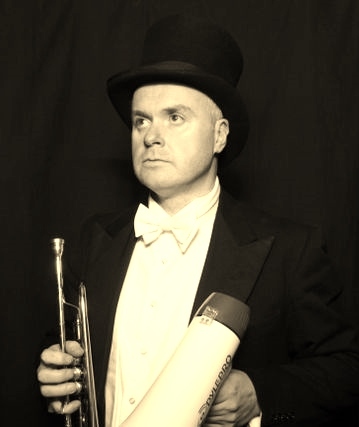 Cosy Club Head Office have already booked Dr Jazz to bring in the ’20s next time and we can’t wait. 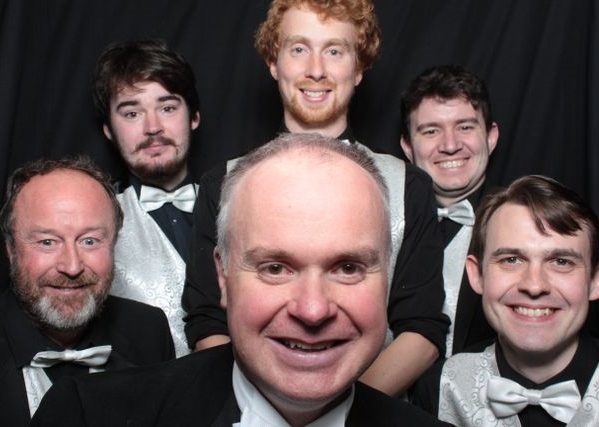 When organiser Viv got in touch just three weeks prior to the event having been let down by another band, Dr Jazz were only too happy to pick up the gauntlet and step into the breach. And what a breach it was! A worthy cause, a beautifully decorated venue and a couple of hundred guests dressed in Peaky Blinders attire, from Brummie gangland hoodlums to high society toffs. 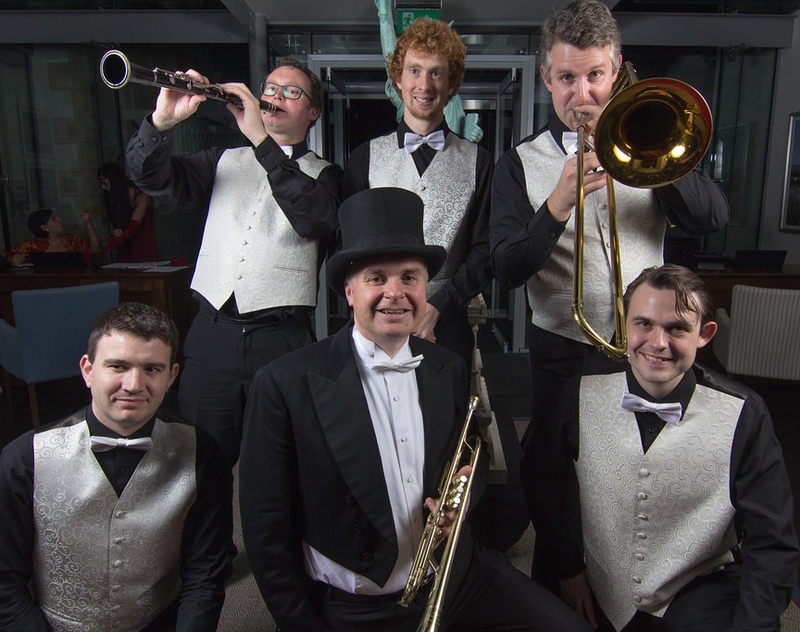 Dr Jazz entertained the lively crowd with Roaring 20s favourites as the Eden Club Band do in the hit TV show. 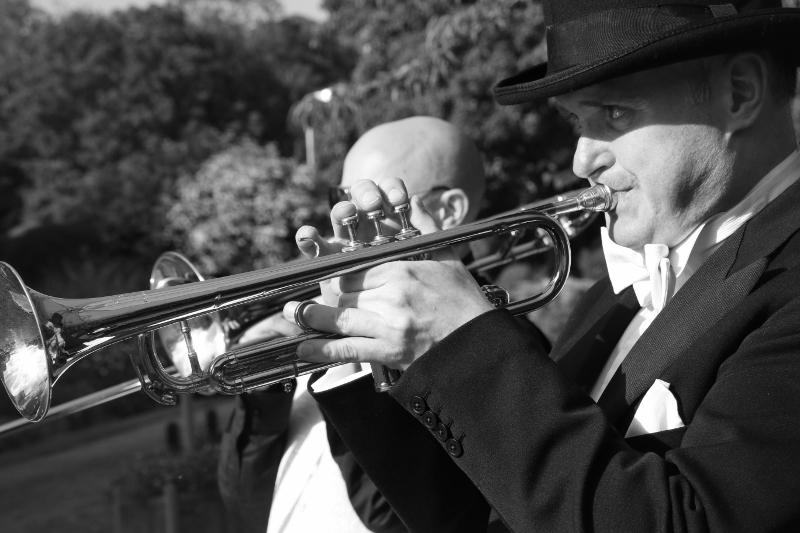 Chantelle had opted for a 1920s theme for her 40th and her guests didn’t let her down. Everyone had made a great effort with their outfits, including the birthday girl herself. Due to free-flowing bubbles, Chantelle brought her speech forwards by a good hour but as you can see, she had a splendid evening! 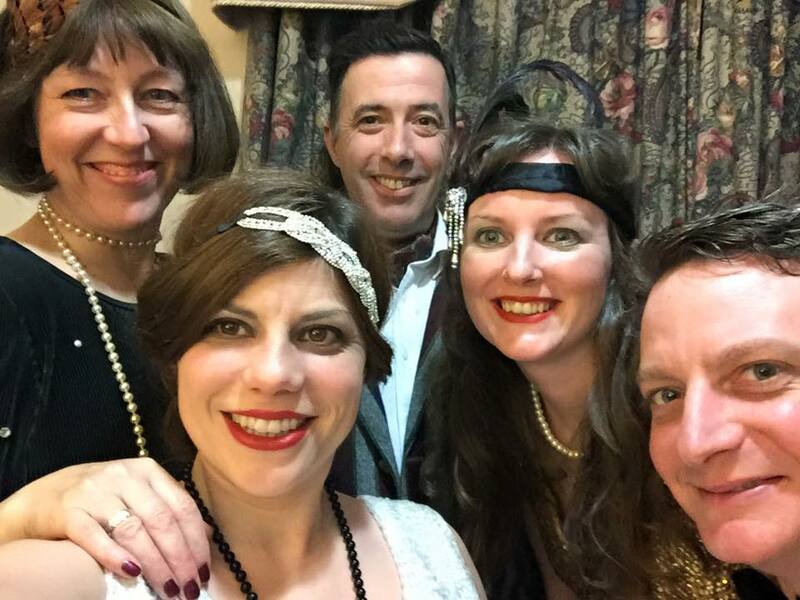 Dr Jazz kept Chantelle and her friends and family dancing all night to Roaring 20s and Great Gatsby favourites and were rewarded with a magnificent pie ‘n’ peas supper. What a lovely afternoon we spent with Obed, Amanda and their guests! 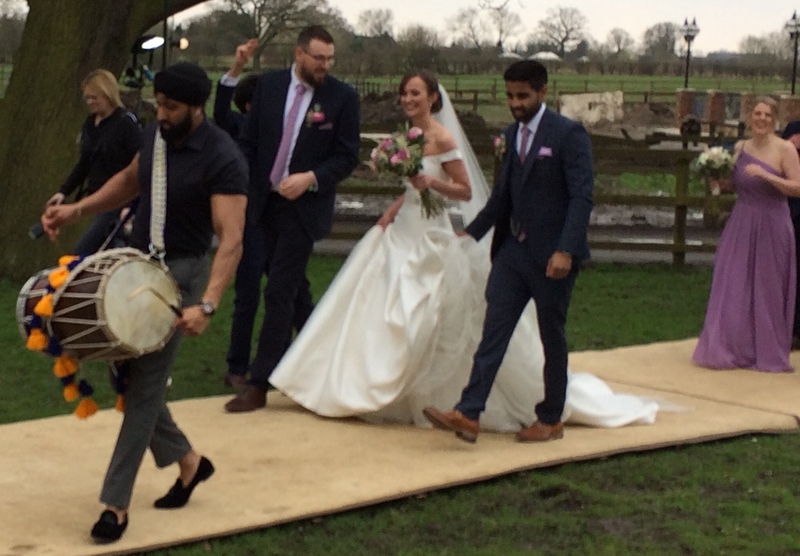 The newlyweds were welcomed to the reception marquee by drummers before Dr Jazz struck up to get feet tapping during the drinks reception. At last! This date had been in the Dr Jazz diary for quite some time as, believe it or not, Josie had booked the band when she was 37! It was a night well worth the wait though. Josie and all her guests were dressed wonderfully in 1920’s garb which really set the tone for a splendid evening. I fully expect to hear from Josie again before too long, putting plans in place for her 50th! What a lovely, lovely couple! James and Sylvia’s wedding was simply perfect. Perfect setting, perfect guests and a perfect bride and groom to boot. They chose ‘When You’re Smiling’ as their first dance which could not have been more apt as two more smiley people you will never ever meet. They even allowed us access to their photo booth…. Rachel and Seth work for an events company in London so know how to throw a party. They had gone for a 1920s theme and the venue looked amazing with chandeliers and black and white feathered table centrepieces. 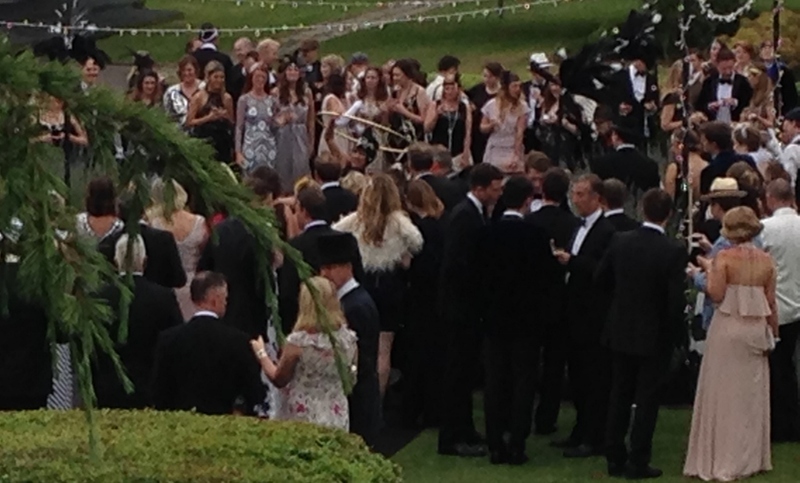 All their guests had entered into the spirit of the theme too, really going to town with authentic 20s clothing. 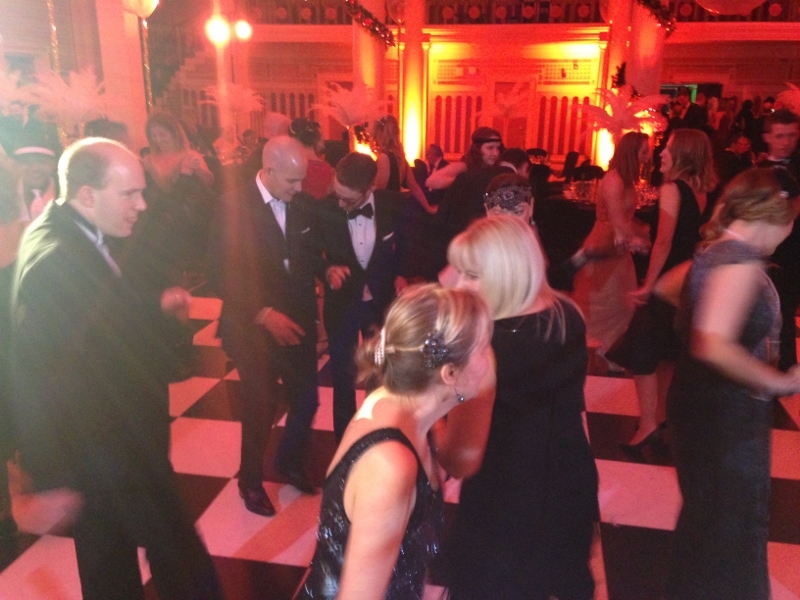 Dr Jazz kept them all on their feet throughout the night culminating in a packed dance-floor for ‘The Charleston’. What a way to start the year! Well over a hundred guests bedecked in 20s attire for a work’s party to trump all work’s parties. Still, these guys should know what they’re doing. 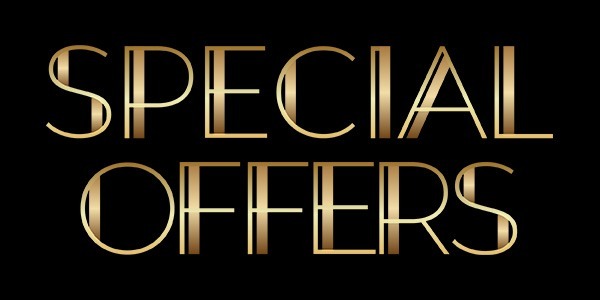 Off Limits Events plan, organise and execute parties like this all year round. 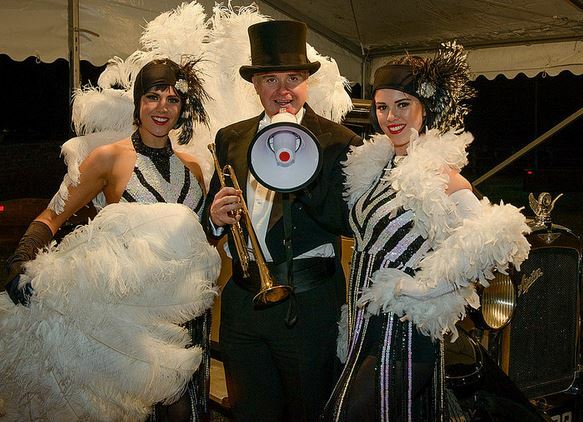 With vintage cars and dancing girls on hand alongside Dr Jazz, we gave them a Gatsby experience they’ll never forget. 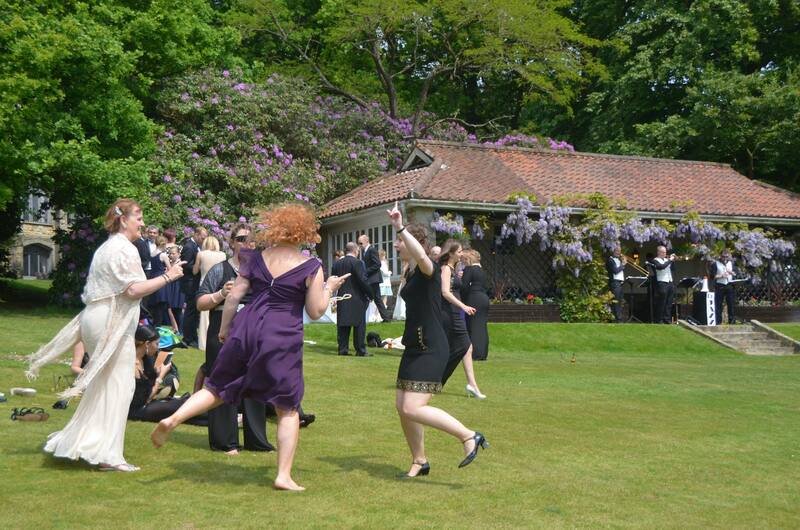 Despite the early evening heat, Anna, Adam and their enthusiastic guests were raring to go after the speeches, charging onto the dancefloor as soon as they heard the opening bars of ‘Diamonds Are A Girl’s Best Friend’. The floor then remained full for the duration, the crowd dancing non-stop to 20s and 30s classics. 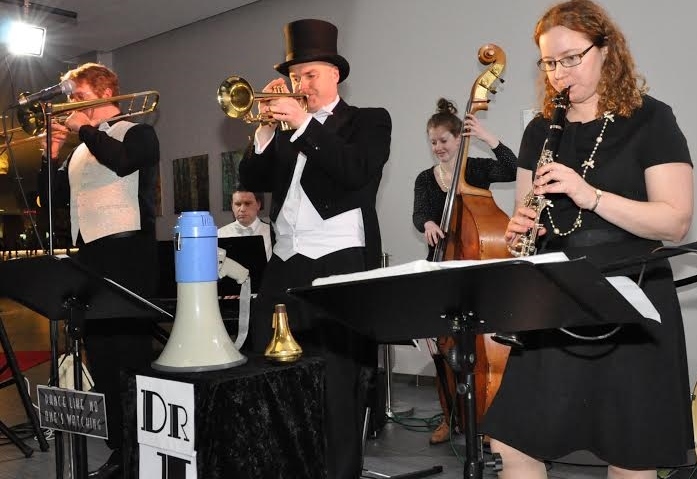 Dr Jazz was tipped off that the bride used to play trombone in her youth and Anna dutifully joined us on stage to show off her skills. We rounded off the evening with a ‘not-to-be-missed’ visit to the photo booth for a customary nostalgia shot! Clare and Paul chose to have an afternoon tea dance for their wedding reception and invited Dr Jazz to get everyone on their feet. 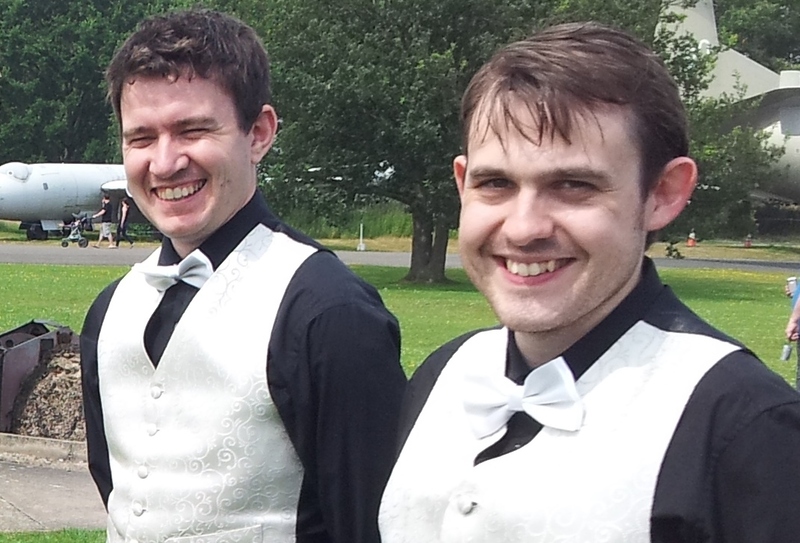 When we arrived to set up, the ceremony had only just got underway as the best man had forgotten the rings! As you can see from the photo, we had a bit of waiting around to do. Once the reception was up and running though, Clare and Paul danced their first dance to ‘It Had To Be You’ and all the guests then joined them on the dance-floor. 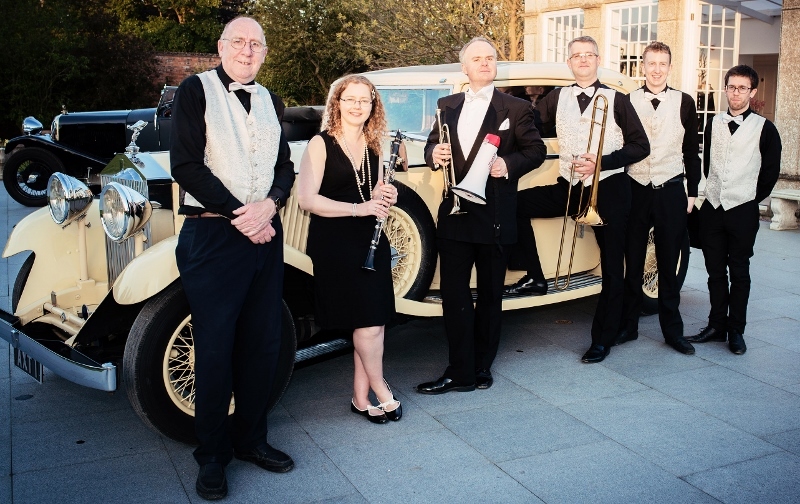 Last July Dr Jazz played at this wonderful event when it was held at RAF Dishforth in North Yorkshire and were very pleased to be invited down to Hampshire to perform once again to 300 guests dressed in authentic 1920s and 30s attire and well up for a good night. The party-goers were entertained by circus acts as they enjoyed pre-dinner drinks in the glorious sunshine before being seated in the marquee. After the main course, a spoof police raid evacuated them into the adjoining officers’ mess where there were puddings, cheese, chocolate fountains, a cocktail bar, casino, cinema and lots more entertainment. 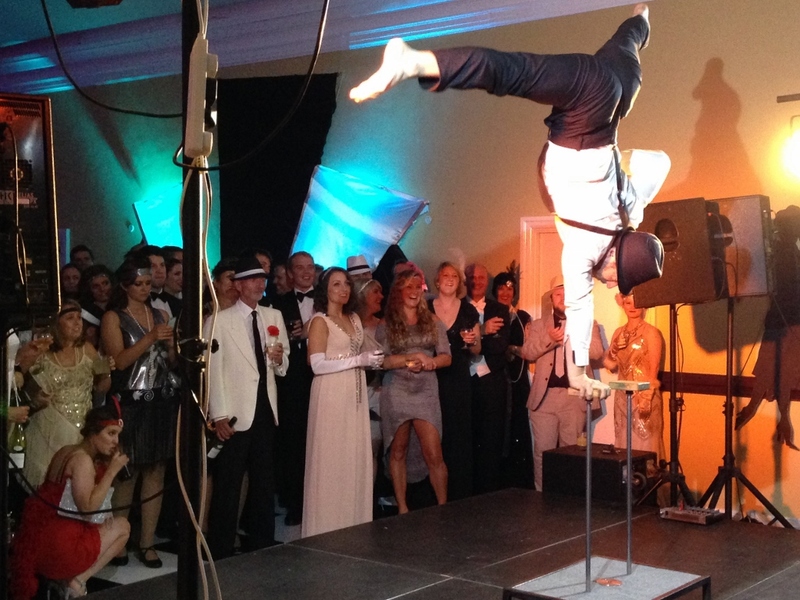 An amazing acrobat and burlesque act drew the huge crowd towards the stage before Dr Jazz kicked the dancing off. The party was still going at 3am! The bride and groom had seen Dr Jazz playing at York Races last summer and booked the band for their wedding there and then. The first dance took on an interesting twist, with all the guests taking turns to dance with Jill, starting and ending of course with her husband Pete. As far as Dr Jazz was concerned, the stars of the night were Pete’s brother Simon and his friend Damian who danced to every single tune! With Dr Jazz’s own DJ on hand to round off the evening, a good time was had by all. Janet and Greg had chosen a stunning venue for their 1930s themed wedding. 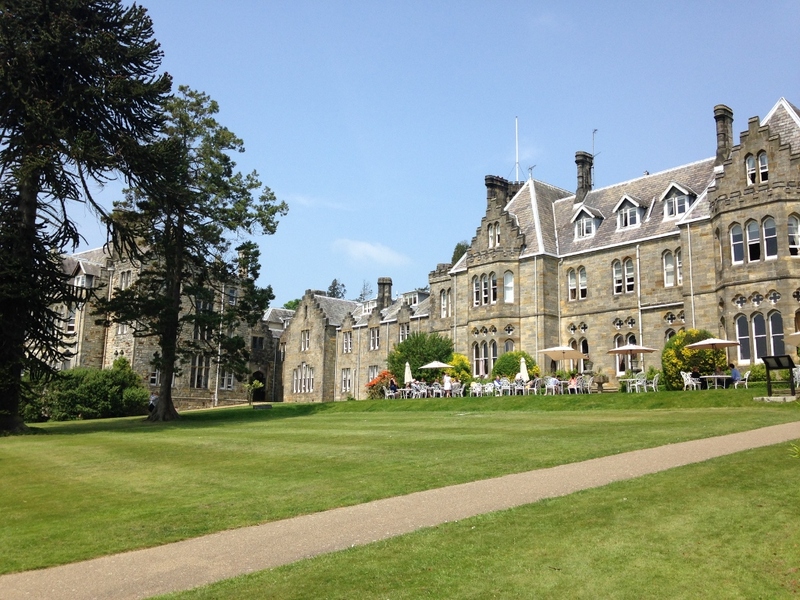 Ashdown Park Hotel near East Grinstead is set in beautiful surroundings with glorious gardens running down from the house to a lake. Dr Jazz played in front of the summer house to entertain guests at a drinks reception whilst photographs were being taken. With all the gentlemen in white tie and tails it looked like a scene from a film set! Ashdown Park was originally a convent and the ceremony, wedding breakfast and evening reception took place in the magnificent chapel, a separate building alongside the hotel. Dr Jazz set up surrounded by fabulous stained glass windows and kept the guests dancing all evening. Married couple Natalie and John were both celebrating their 45th birthdays. 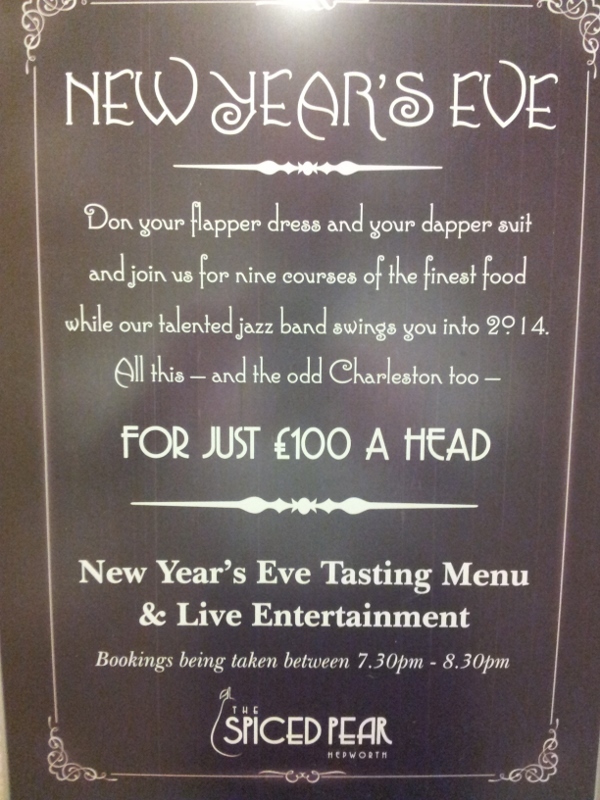 Two 45s make 90 and ninety years ago was 1926, hence their Speakeasy theme! Everybody looked amazing in their Roaring 20s outfits, with feather boas and trilbies a-plenty. 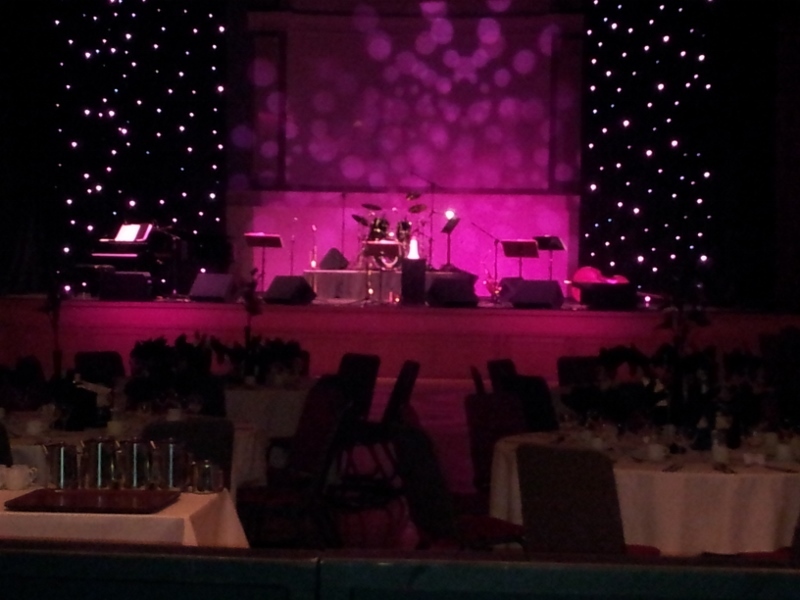 The hall itself had been decorated brilliantly with wonderful lighting and stage effects. There was a casino and even a bar serving cocktails in tea cups! 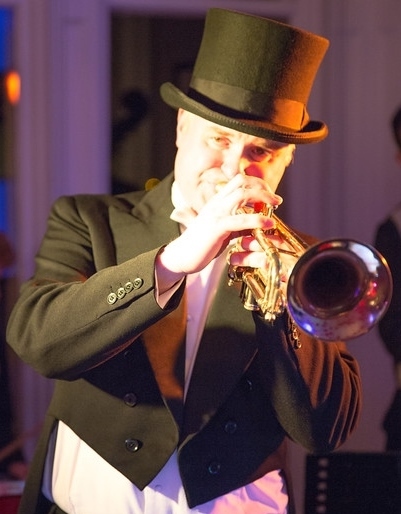 Dr Jazz enjoyed a great start to 2016 at Ellingham Hall for Amy and Mark’s wedding. 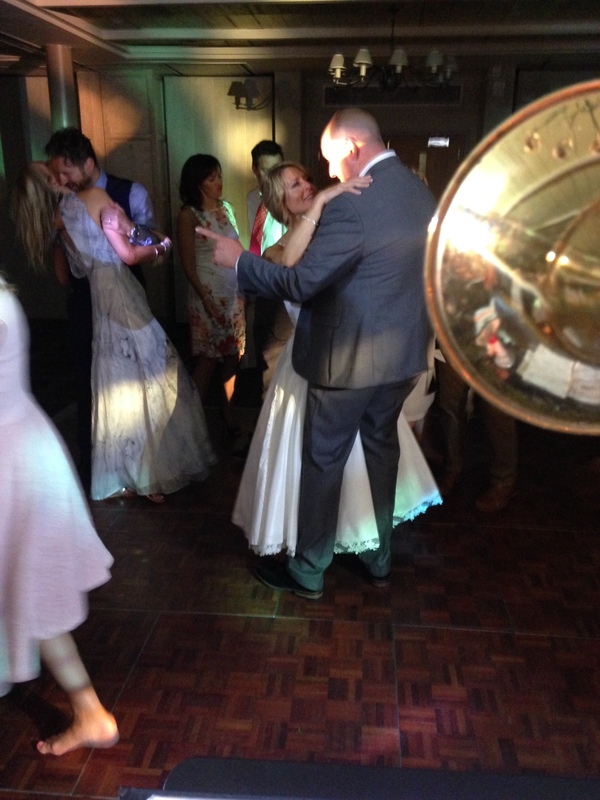 A lovely venue tucked away just off the A1 saw the happy couple’s friends and family dance the night away to Dr Jazz before the band’s own DJ rounded off the evening. As corporate events go, this was up there with the best! 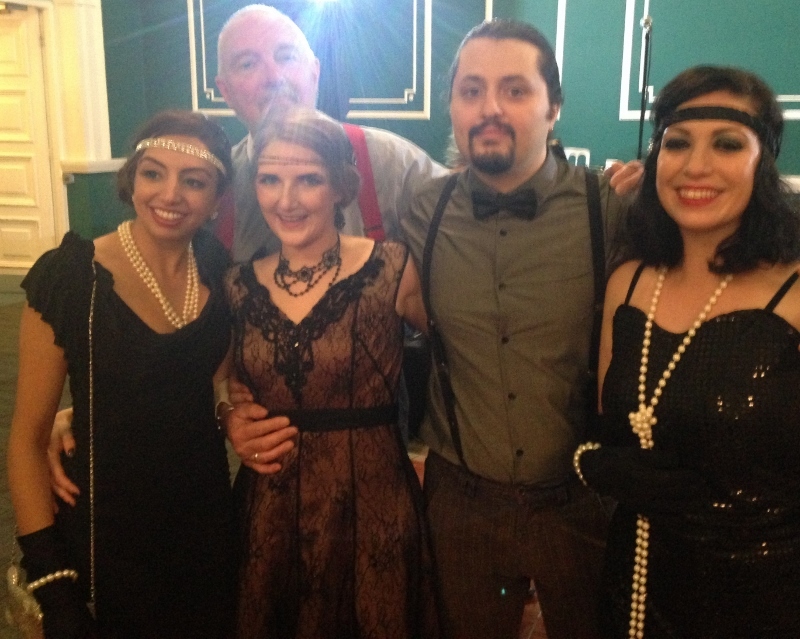 Grainger plc threw a Great Gatsby party to rival all others. The magnificent ballroom at the Queen’s Hotel was decorated superbly to transport the guests right back to the Roaring 20s. 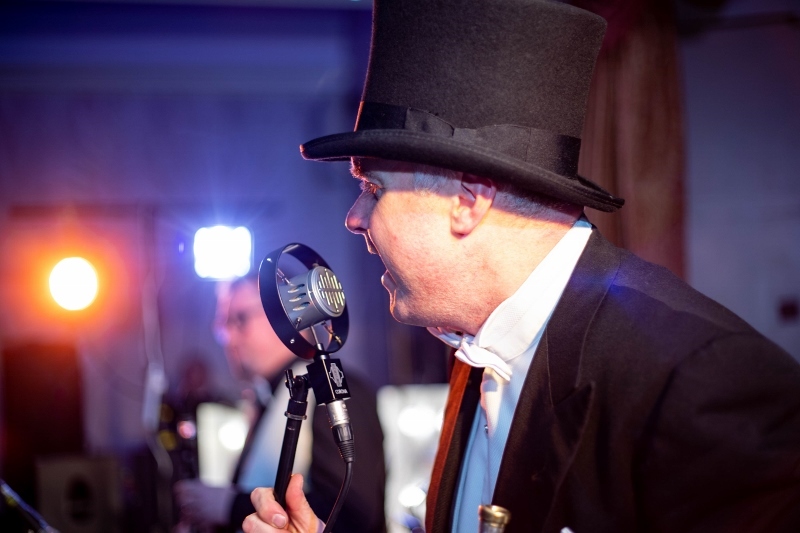 Dr Jazz struck up as the doors were opened, welcoming guests into the ballroom from their pre-dinner drinks reception and continued after dinner with Gatsby classics, encouraging everyone onto their feet. This was our third 50th birthday party of the year and the second this month. 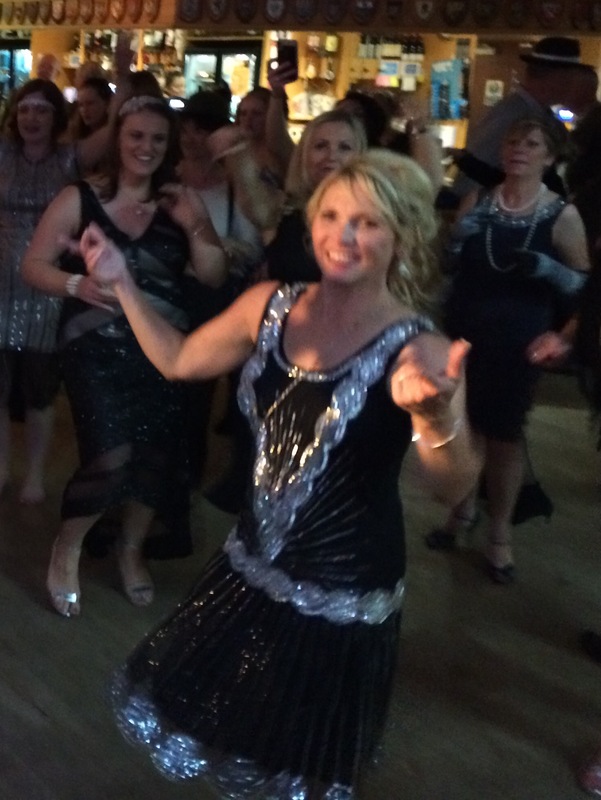 The Roaring 20s is obviously a popular theme with persons of a certain age! 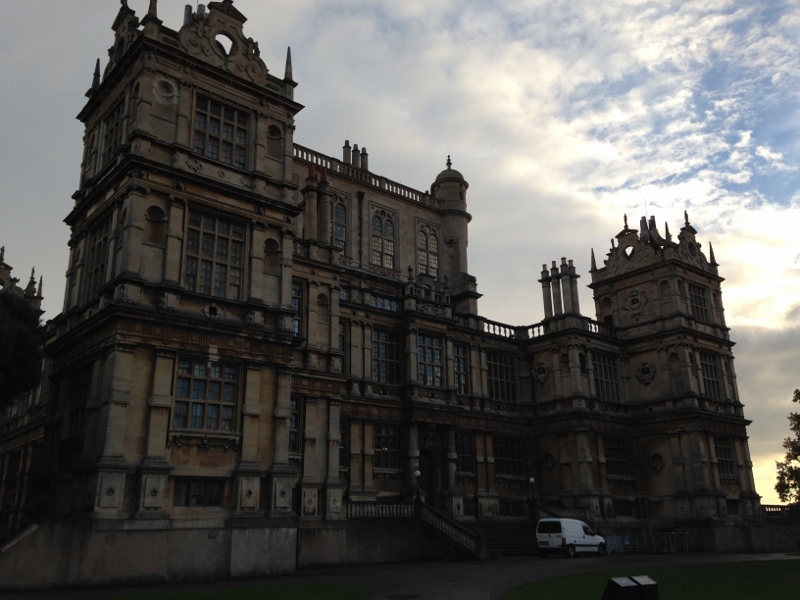 Julie had chosen Wollaton Hall to hold her party and what an amazing venue it is. Julie and her guests were dressed up to the nines, which always makes for a good night, and the dinner tables in Wollaton’s grand hall were decorated beautifully with magnificent black and white feather centrepieces. After a very tasty buffet Dr Jazz got everyone on their feet for some Great Gatsby favourites! 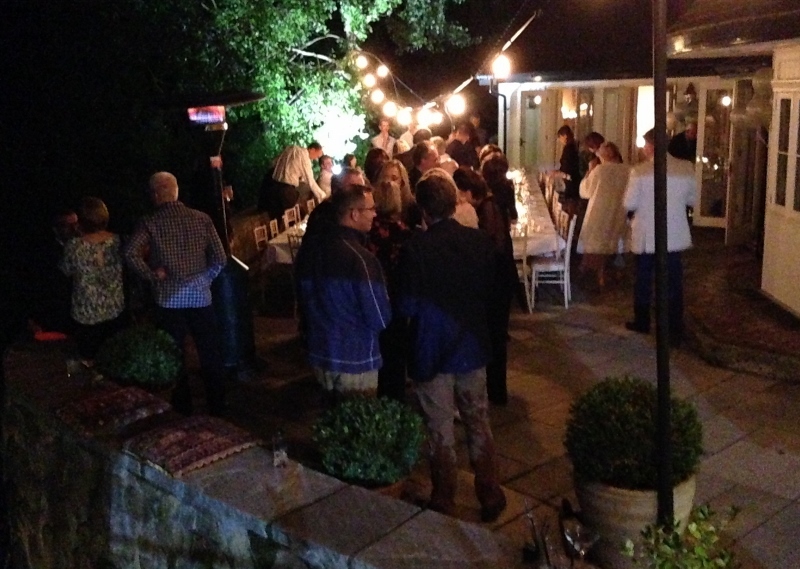 Len’s family and friends had a cracking party in Harrogate’s sumptuous Sun Pavilion to celebrate his half century. Dr Jazz played a set of well-known tunes as guests arrived for a champagne reception and mingled amid the venue’s art deco splendour. 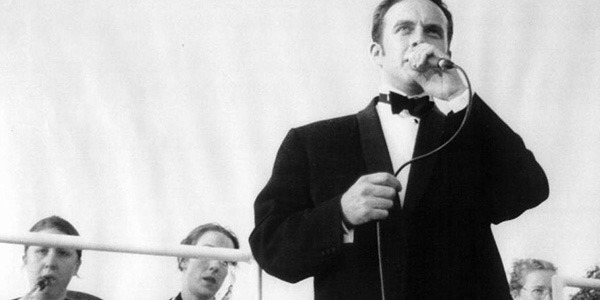 Following Len’s speech and a rather splendid buffet, Dr Jazz returned to the stage for more Roaring 20s and 30s favourites before a DJ and bucking bronco took over the entertainment. As you can see, Dr Jazz never shies away from a photo booth! What an amazing house for a party! 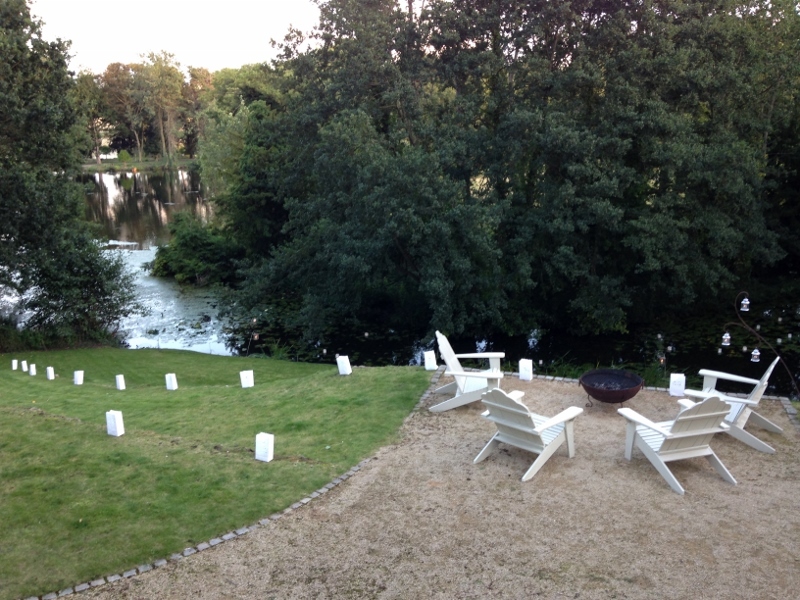 When you have a beautiful oxbow lake at the bottom of your garden with candles floating on it after dark and a wonderful group of family and friends, you can’t fail to have a good time. Dr Jazz performed a laid-back set as guests arrived and went down a storm with old and young alike filling the dancefloor after supper. Enjoying cocktails by the lake between sets wasn’t bad either! All family and friends had got into the vintage spirit, dressing up in 20s and 30s attire for a very sophisticated society party to celebrate Rose’s 30th. The birthday girl looked stunning, dancing to a Dr Jazz set list she’d chosen herself, full of all her favourite songs. The highlight of the evening had to be Rose dancing with her mum to ‘Puttin’ On The Ritz’; a taste of things to come as the two of them had a date for lunch at The Ritz the very next day! RAF Dishforth had really gone to town on their very last summer ball before the base is decommisioned. 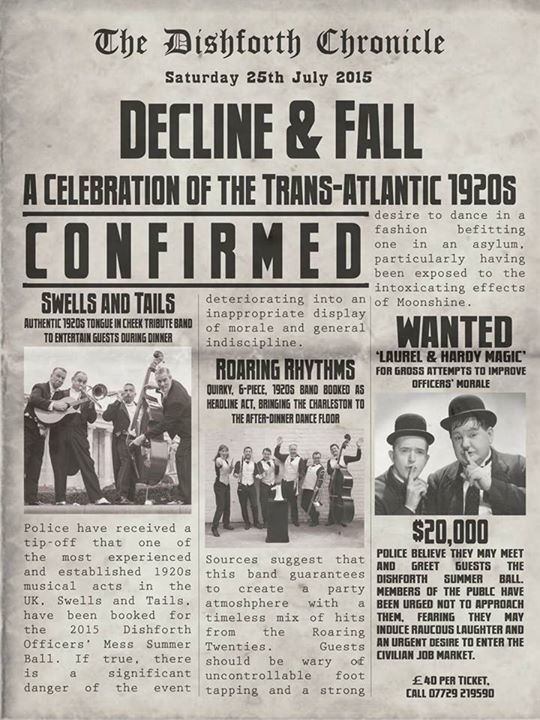 Newspaper-style posters had advertised the event which boasted two Roaring 20s bands, Laurel and Hardy magicians, a burlesque dancer, dodgem cars and a cinema! Dr Jazz (billed under an agency name of Roaring Rhythms) was the main attraction and the band had the venue jumping after dinner. The burlesque dancer wasn’t bad either! 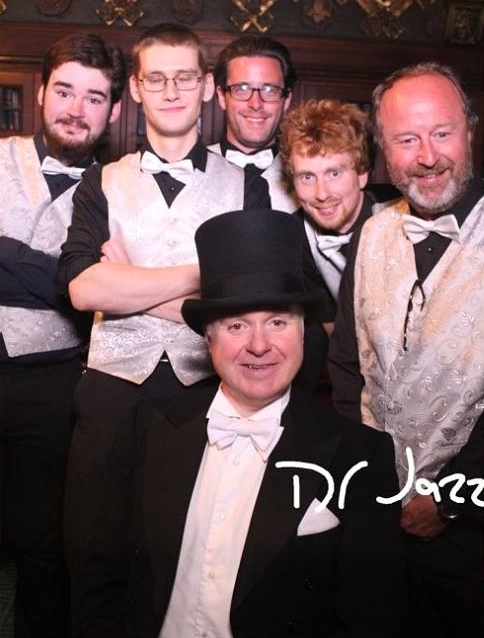 Alex and Nick had seen Dr Jazz perform at the Irnham Hall gig in May last year and were very keen for us to entertain family and friends on their big day. Dr Jazz set feet tapping during the afternoon drinks reception before donning evening attire after the wedding breakfast and speeches for some serious ‘flapping’ to classics such as ‘Sweet Georgia Brown’ and ‘Five Foot Two, Eyes Of Blue’. The happy couple smooched to ‘As Time Goes By’ for the last dance before Dr Jazz’s own DJ kept the party going into the early hours. What a lovely family and what a fantastic event! With a 21st birthday, a 25th birthday, a 50th birthday and an important wedding anniversary all in the same year, the Rothera family had decided to throw a party to trump all parties in the beautiful surroundings of Wadenhoe House near Oundle. 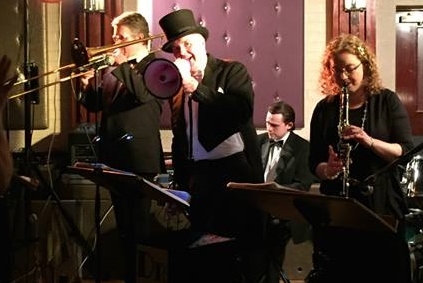 The event was Gatsby themed with 1920s and 30s attire obligatory and about a hundred guests arrived dressed accordingly as Dr Jazz performed well-known songs of the era. 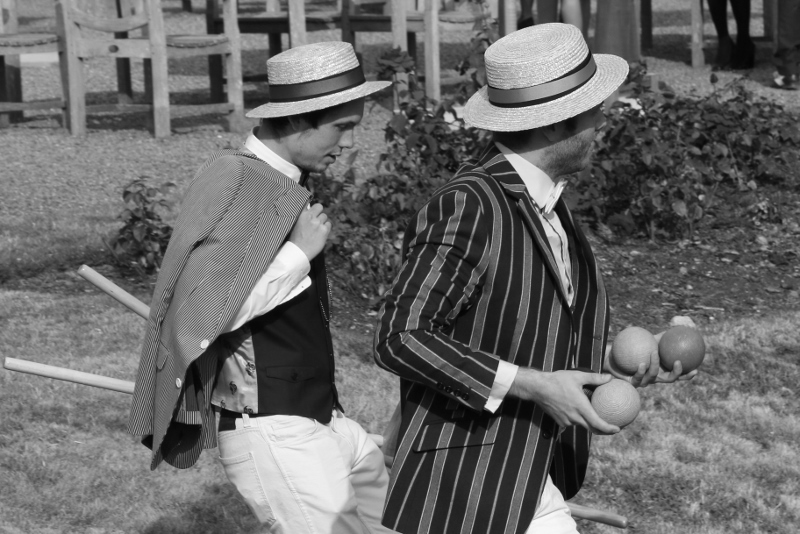 Family and friends drank Pimm’s and cocktails, some even partaking in a game of croquet, before Dr Jazz played the partygoers dancing into the marquee for dinner. What an amazing night we had celebrating Frankie’s 50th birthday! Forty or so of Frankie’s family and friends had dressed in 1920s attire to enjoy a candlelit dinner around an enormous dining table while a murder mystery play was acted out before them by Scandalous Affairs. After solving not one but two cases of murder (or not as the case may be! 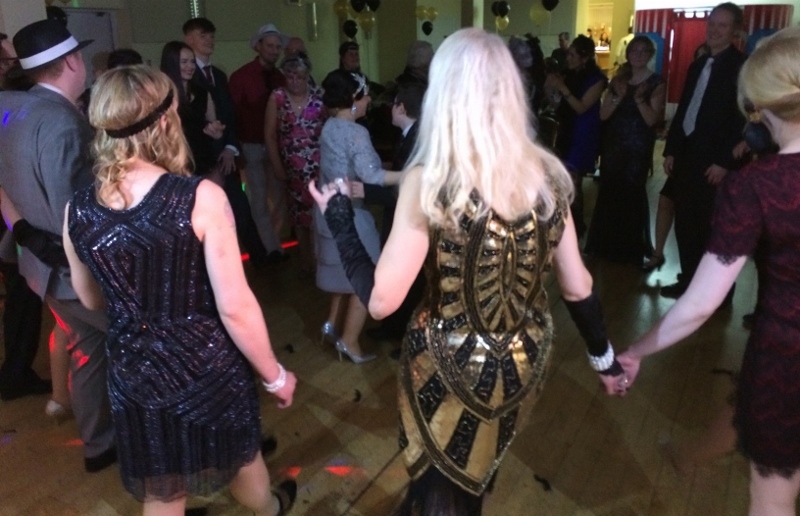 ), Frankie and her guests danced the night away to Roaring 20s classics provided by Dr Jazz, who kept the dancefloor jumping to the end. The Animal Shelter was founded in 1924 and so, for its 90th birthday, the powers-that-be at Wood Green threw a spectacular 1920s Gala Dinner to celebrate and raise much needed funds. As guests arrived all dressed up they had their photos taken with the glamorous befeathered reception girls against the backdrop of a wonderful late 20s Austin before being treated to glass of bubbly. 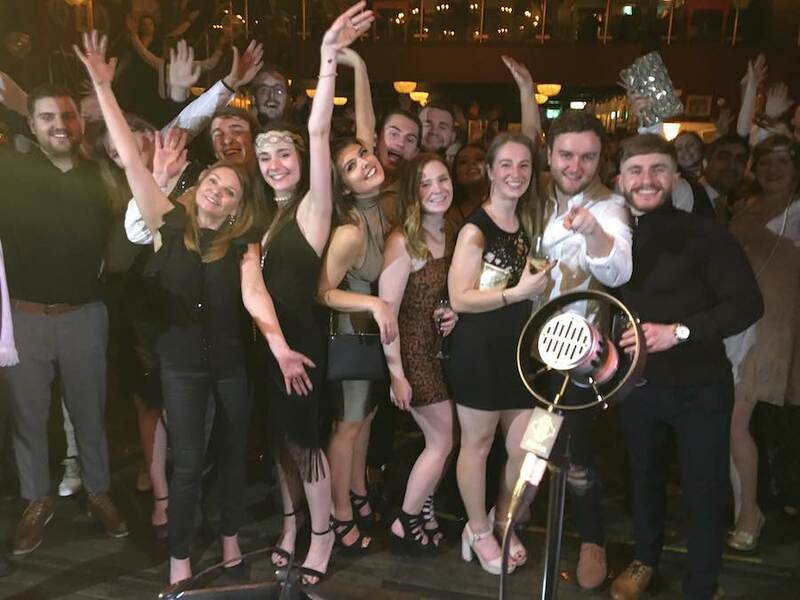 Once the lavish dinner, speeches and auctions were over, Dr Jazz took to the stage and got everyone on their feet for a non-stop 90 minutes of Roaring 20s favourites! What an event this was! 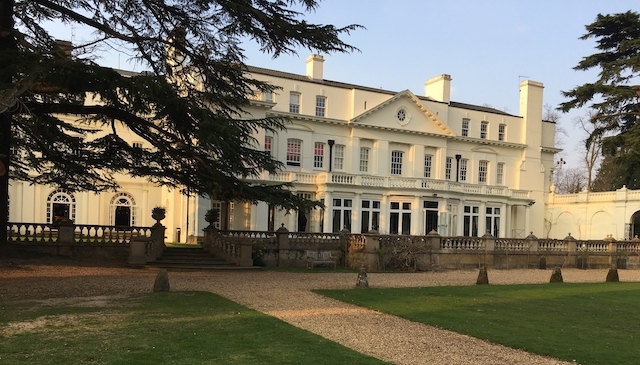 The company was re-branding the venue as a ‘Laura Ashley’ hotel and had invited corporate and business guests from far and wide to a Roaring 20s evening. 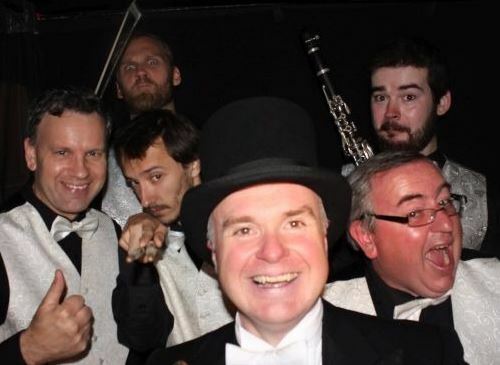 All the staff and guests were bedecked in top hat and tails, flapper dresses and feathers for a packed night of cocktails, food, photographs, magic, music, dancing and fireworks. 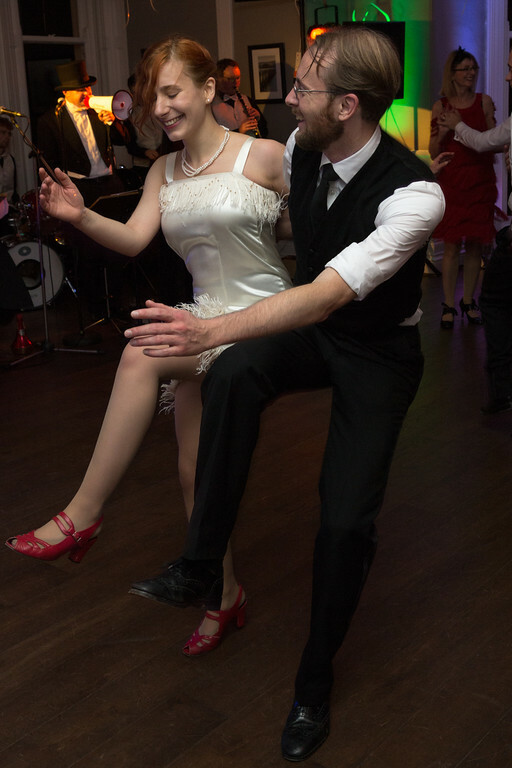 Four professional dancers ‘Jitterbugged’ and ‘Charlestoned’ continuously, encouraging guests to take to the floor and creating an amazing atmosphere. 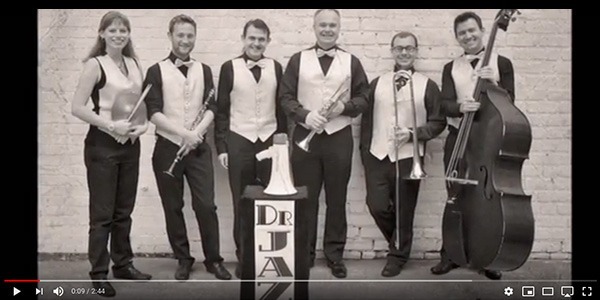 They said Dr Jazz was the best band they’d ever danced to. 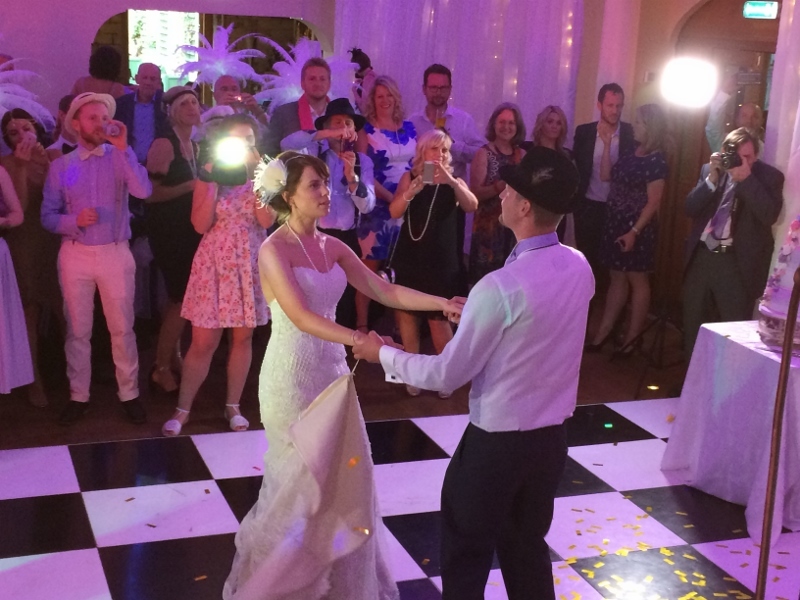 Emma and Andrew had chosen a ‘Roaring 20s’ theme for their big day and looked resplendent in period wedding attire. The venue was decorated perfectly with magnificent white feather centre-pieces on each table; really setting the scene for this special occasion. 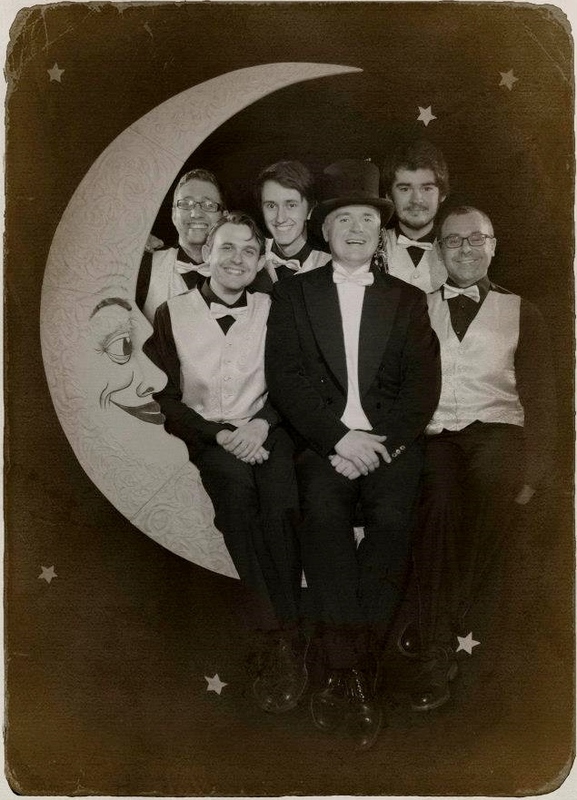 Dr Jazz looked the part too in their white ties, silvery waistcoats, top hat and tails as you can see in this vintage photograph. What a great evening we had amongst some wonderful people. The event was staged by Nonsuch Theatre & Dance group who performed period dances dating as far back as Tudor times between courses of a very tasty three-course meal. 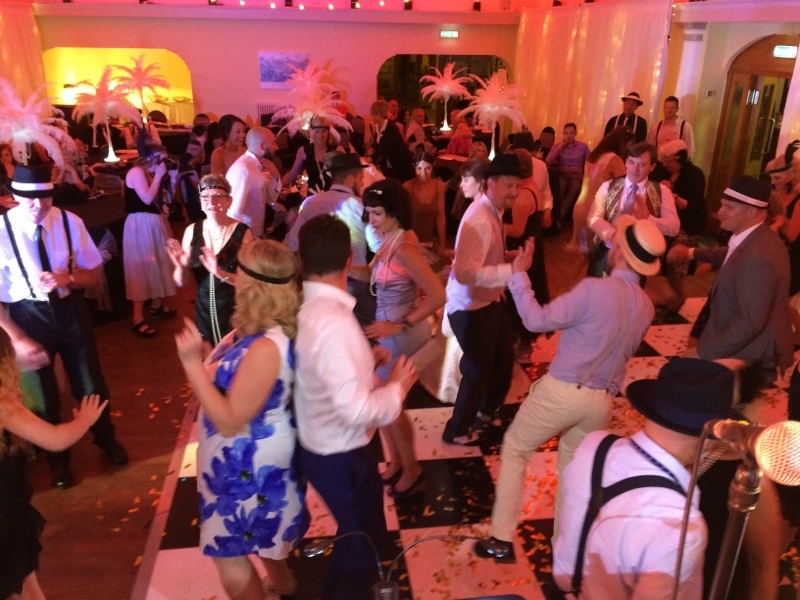 The guests were invited up to learn the dances which worked their way through history until, with the meal finished, they arrived at the 1920s….which is where Dr Jazz came in. We’d rehearsed routines to ‘Ain’t She Sweet’ and ‘The Charleston’ with the dancers earlier in the day and these were performed during the band’s main performance. 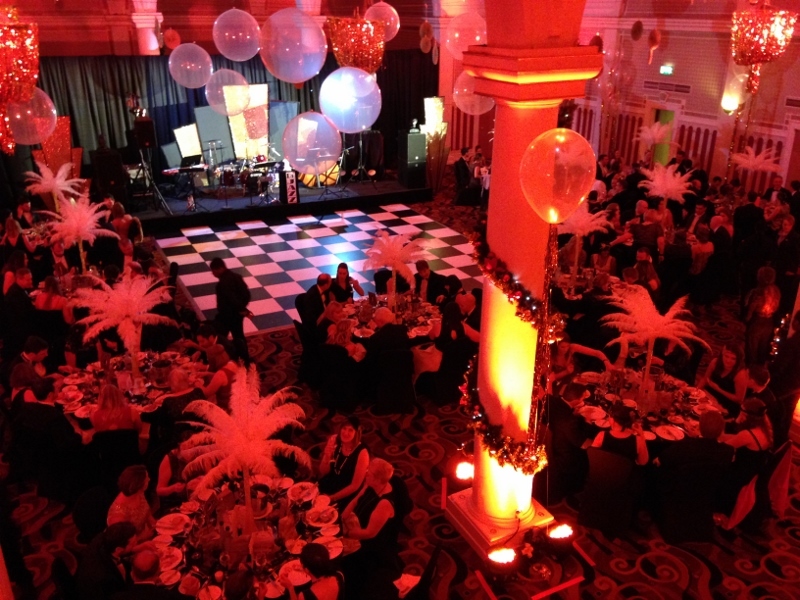 This event was full of style and panache….and a massive £7000 was raised for charity! Everyone was dressed up to the nines in flapper dresses and dapper suits ready to enjoy a wonderful evening of dining, dancing and cabaret. Guests danced non-stop to Dr Jazz after dinner, lapping up songs like ‘Sweet Georgia Brown’, ‘Ain’t She Sweet’ and ‘The Charleston’. (Thanks to Phil Lockwood of lusamphotography.co.uk). 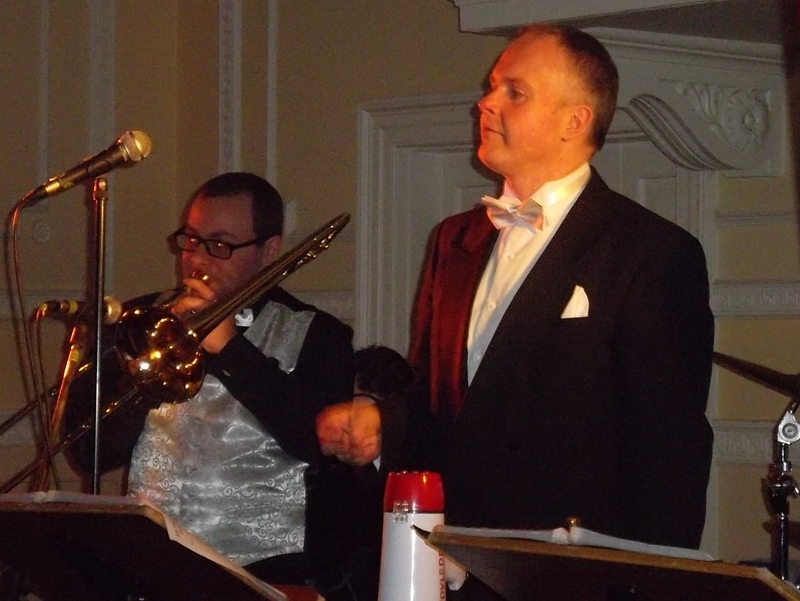 After several successful dances in the beautiful De Grey Rooms featuring Mr Swing’s Dance Orchestra, it was now the turn of Dr Jazz to entertain with timeless classics from the 20s and 30s. 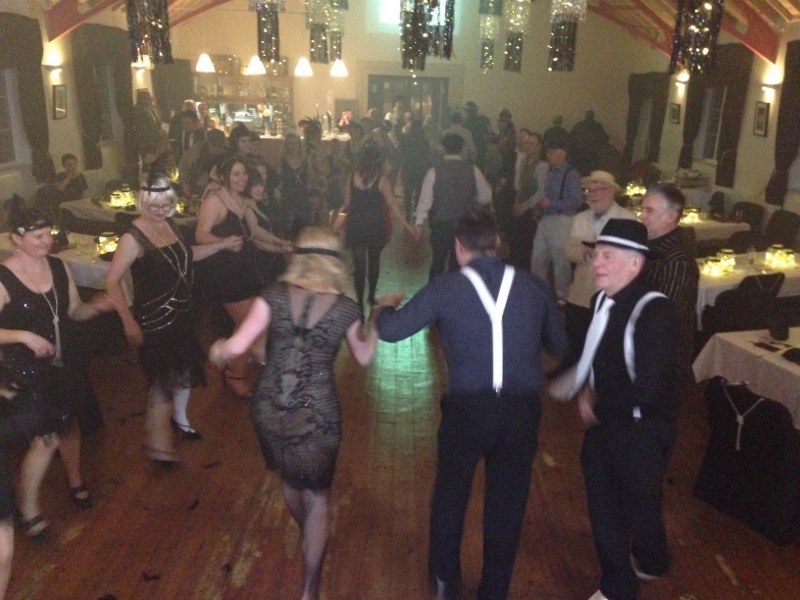 The majority of the audience had entered into the spirit by dressing in Gatsby-esque attire and filled the floor demonstrating the Charleston moves they’d learnt in the dance class held earlier in the evening. Dr Jazz was booked to entertain diners at the illustrious Spiced Pear restaurant run by multi award-winning chef Timothy Bilton. 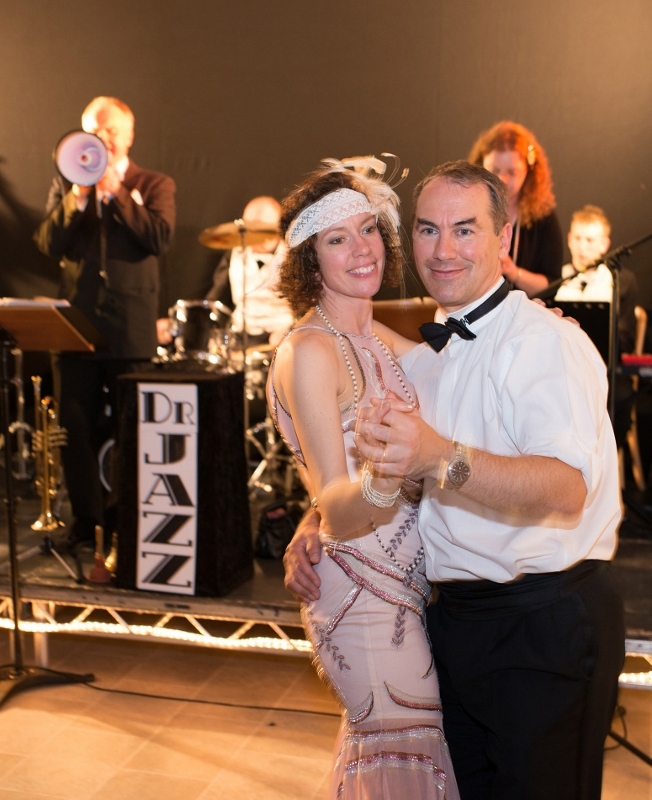 Guests enjoyed a 9-course taster menu whilst Dr Jazz performed classic tunes from the 20s and 30s with couples getting up to dance between courses. As midnight approached, the dance area filled with revellers eager to bring the new year in with a bang! This wonderful old venue has been renovated over recent years and is once again an awe-inspiring auditorium. Dr Jazz had the great honour of entertaining the 250+ rotarians before and after dinner. All the delegates were dressed up as flapper girls, gangsters and other 1920s attire; it really was a splendid sight. 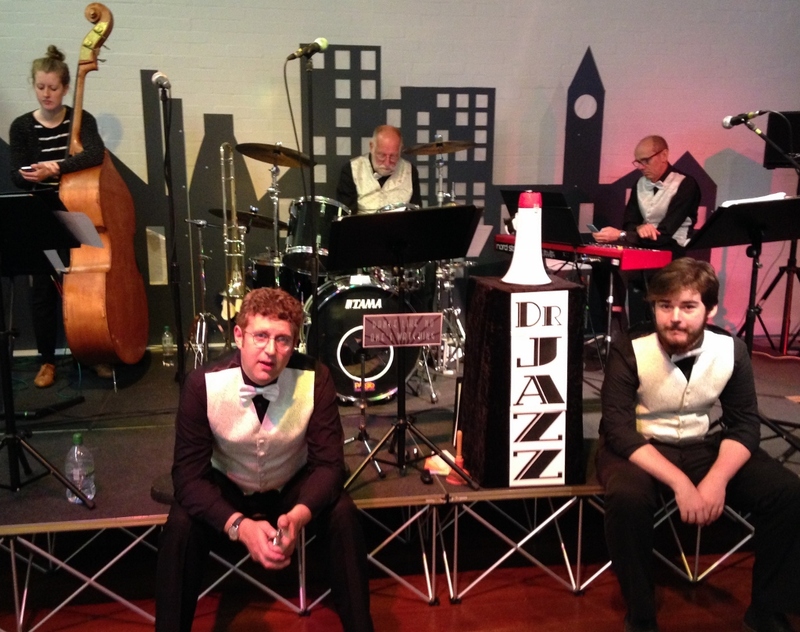 Dr Jazz went down very well with its repertoire of ‘Roaring 20s’ classics and received many favourable comments throughout the evening. 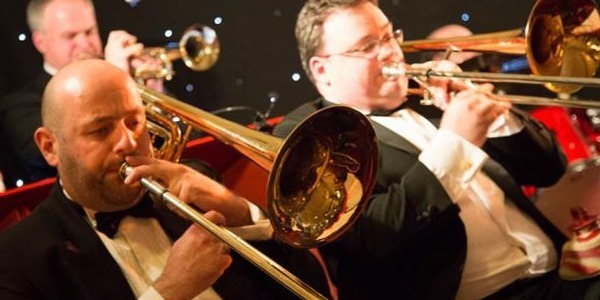 Dr Jazz was very proud to be invited to perform at this prestigious event by the Air Crew Association. 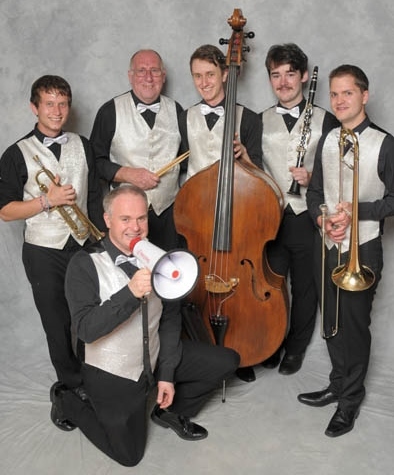 I knew the ACA’s top dog Jack Broughton OBE of old, with Mr Swing’s Dance Orchestra having played up and down the country for him on many occasions. 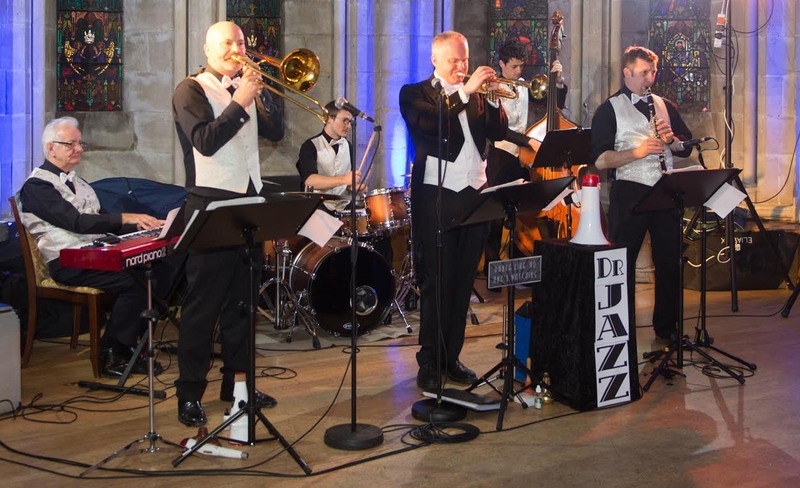 The 6-piece jazz band entertained the important dignitaries as they arrived with 1920s and 30s favourites and had many a toe tapping by the start of the ceremony. Many favourable comments came the band’s way too, making it a really great gig.